America relies heavily on semi trucks. Semi trucks haul gigantic amounts of our food across the country as well as many other goods that we rely on every day. If you’re a semi driver or you own a trucking company, you know just how important it is to have the semi trucks that you need in order to stay competitive but you also know how hard it can be to expand your fleet. Many semi dealers have financing terms that seem either impossible to pay for or too good to be true. 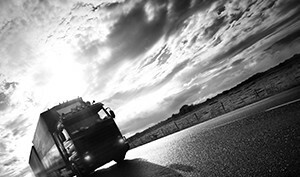 Luckily, there is another way to finance a semi truck: Fleet Lending Solutions. At Fleet Lending Solutions, we have a network of lenders that we work with in order to find the best deal for you. The process begins after you fill out an application over the phone, online, or by hand, and then we’ll check out your credit history, credit score, and employment. 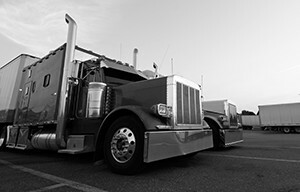 An important factor in semi truck financing is an evaluation of the truck itself. Generally speaking, newer trucks tend to break down less so the financing costs you less. So if you were thinking about applying for financing for an older truck to try to save money, you might want to find a newer truck. After we do our due diligence, we’ll find the right financial institution to fund your application. We work quickly: after you’ve been approved it can take as little as one or two days to get your money! If you’ve been looking for a better, more personal way of applying for semi truck financing, Fleet Lending Solutions is your best bet. We are here to help with the entire process and we won’t put you into a deal that doesn’t work because we want to earn your business the right way. Contact us today to find out how we can help your business grow with commercial vehicle and heavy equipment financing!